Valtteri Bottas' level of dominance in Australia reminded Mercedes F1 boss Toto Wolff of his 2008 title-winning campaign. Mercedes Formula 1 boss Toto Wolff says Valtteri Bottas’ Australian Grand Prix victory reminded him of the dominant early days of the Finn’s career. Bottas overtook Mercedes teammate and polsitter Lewis Hamilton at the start and controlled the season-opener in Melbourne in comprehensive fashion, crossing the line 20 seconds clear. In what marked his first victory since the 2017 Abu Dhabi Grand Prix, Bottas hailed the emphatic display as the “best race” of his entire career. 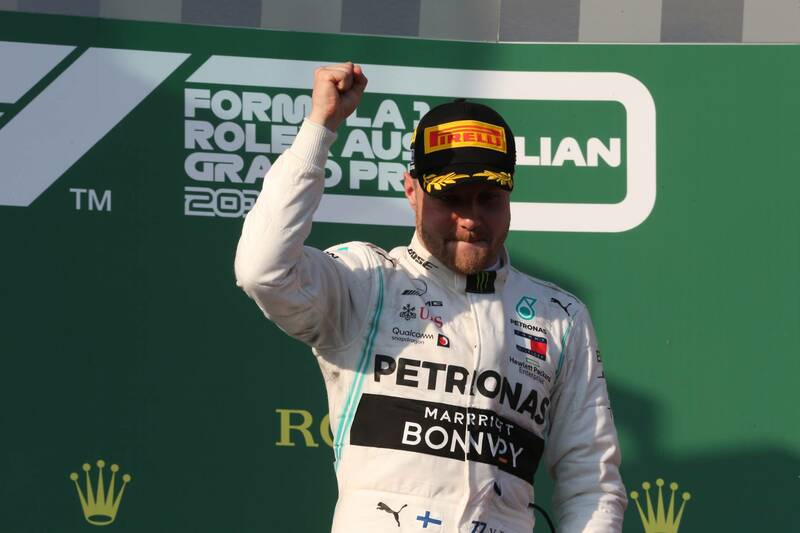 Wolff said Bottas’ performance echoed the form he displayed back in 2008 when he stormed to a pair of titles in the Eurocup Formula Renault 2.0 and Formula Renault 2.0 NEC. Driving for leading single-seater outfit Motopark, Bottas beat fellow F1 racer Daniel Ricciardo to the Eurocup crown, while he crushed his opposition in the NEC by winning 12 out of the 14 races he contested. “I’ve seen most of the races in his career in all categories and this was the strongest,” Wolff said. “In 2008, I got a call from a young boy who asked for a meeting. It was a snowy day in Vienna, and this young Finnish boy came in with a pullover, no jacket, and asked for advice. “He went on to dominate the Formula Renault Eurocup, in a strong year with [Jean-Eric] Vergne, [Daniel] Ricciardo, and [Roberto] Mehri, he almost lapped the whole field. “This is the Valtteri Bottas that I have seen in Australia. It was in him. I think that maybe these years at Williams, and then the shock draft into Mercedes was something that he needed to digest. Wolff described the result as a “fairytale” for Bottas - who leads the F1 drivers’ world championship for the first time in his career - after being “written off” following a difficult 2018 campaign. “How he recovered from being written off, [and labelled] ‘not up for the job’ in the second half of the season last year to scoring one of the most dominant victories that we’ve seen in recent days shows us that human potential, how much it is a mind game,” Wolff added.